For skin as soft as satin. 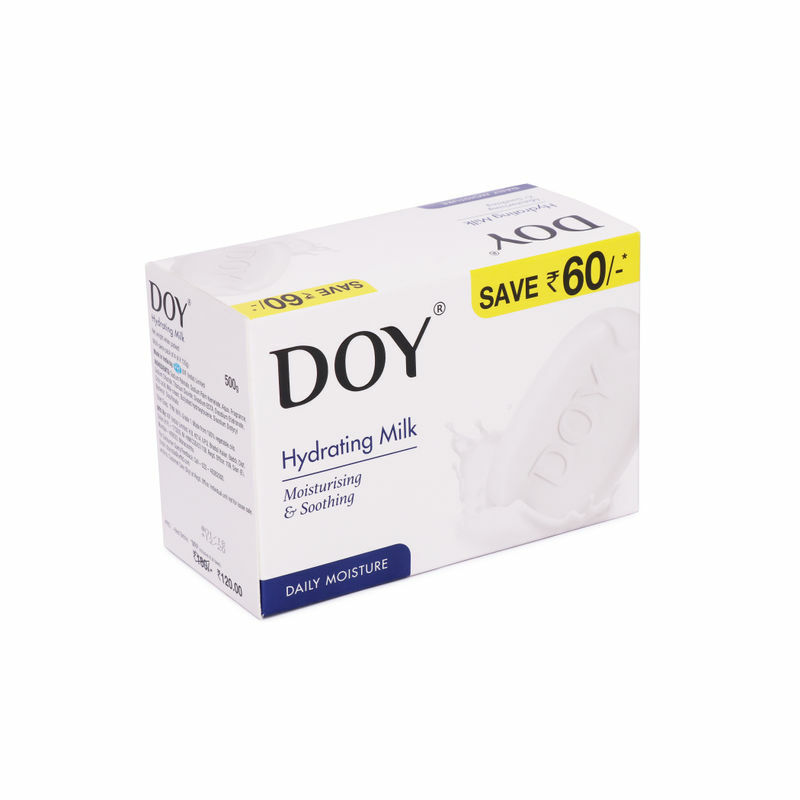 The Doy Hydrating Milk Soap is enriched with moisturizing cream. This creamy soap gently cleanses the skin, its genuine milk cream works on dry and coarse skin, moisturizes and helps improve the texture of your skin, making it soft, smooth and supple. Doy Hydrating Milk Soap Moisturizing bathing soap is a one-of-its-kind hydrating soap that repairs & refreshes dull skin. Infused with goodness natural milk cream, this freshly scented soap will leave your skin smooth, supple, and velvety soft.